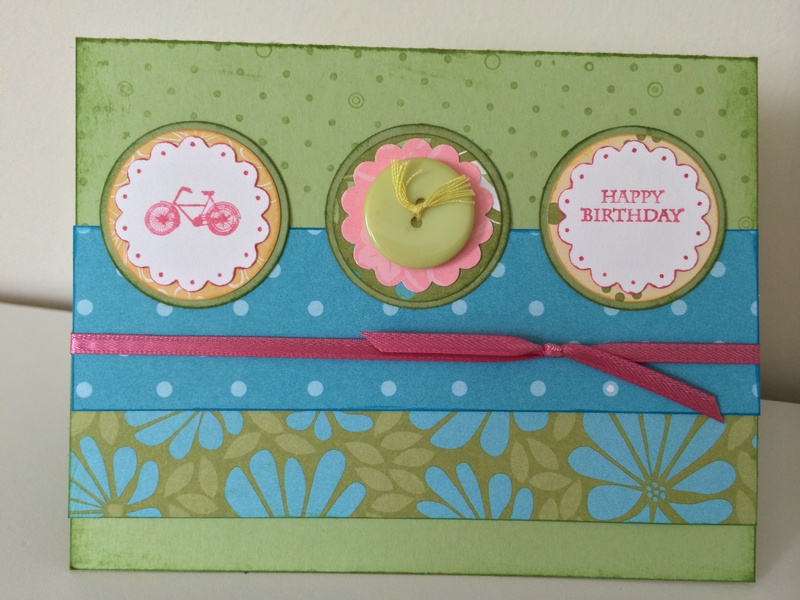 carimconner May 11, 2014 September 12, 2015 Circle Punch, Designer Series Paper, Postage Collection (Retired Hostess Set), Scallop Circle Punch 1 1/4"
Here’s another Bicycle Card with a different layout. The circle punches are 1 3/8″ and 1 1/2″. The scallop is 1 1/4″. Both stamps are from the Hostess Set “Postage Collection” which is retiring 6/1/14. The card base is Certainly Celery (retired). I suggest Pear Pizzazz for green – which is what I used for the largest circle punches – and Melon Mambo for pink. You’ll see some Old Olive and Tempting Turquoise in the Patterned Paper. I wanted to include a gift card in this one, so I made the card base extra long and folded it up to form a pocket. 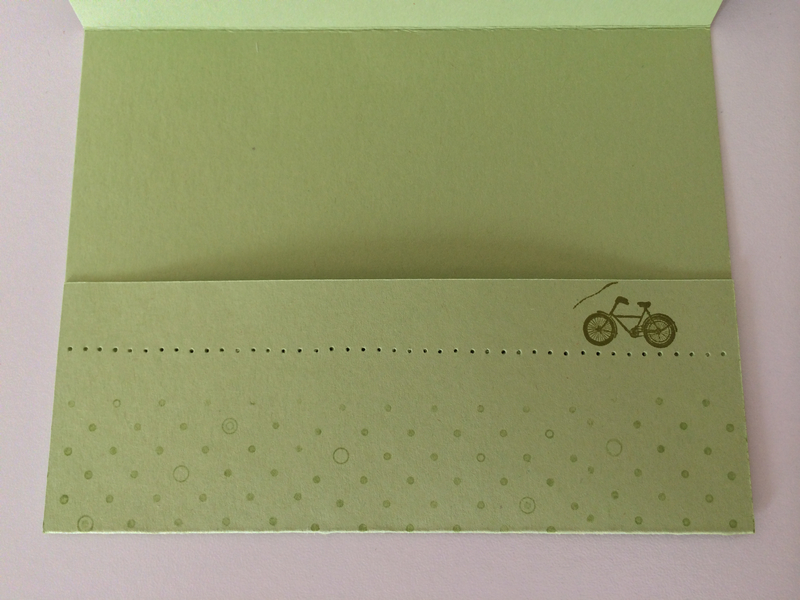 Added a line of paper piercing, the bicycle, and a background stamp. And, there ya go.